Today's technology opens up a lot of opportunities for us to discover immense possibilities in expanding our view of things. This post owes a lot to technology for allowing me to find the person behind the dress you see above. Sleuthing can be a fun experience especially when all fired up by Scarlett passion. 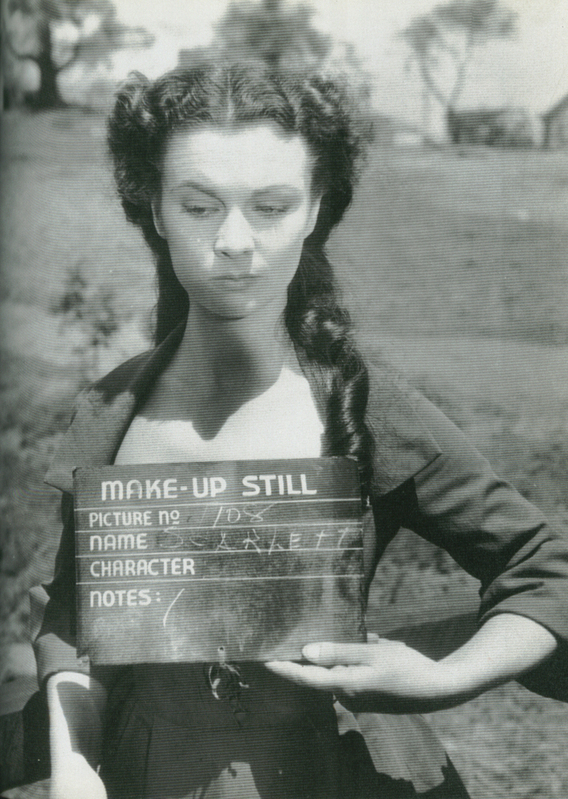 From http://vivienleigh.bloog.pl : A tired-looking Vivien Leigh putting an end to GWTW; a scene that never made it to the final cut. 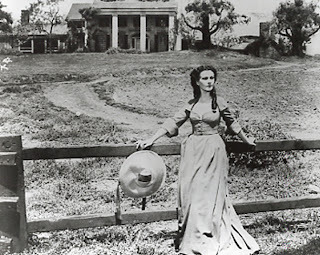 Clue: Louisville, KY. Search yielded the same name, same place and worked as a Director of a Museum. I found a contact email and finally found Beth. I believe she was as much more surprised than I at having been discovered. 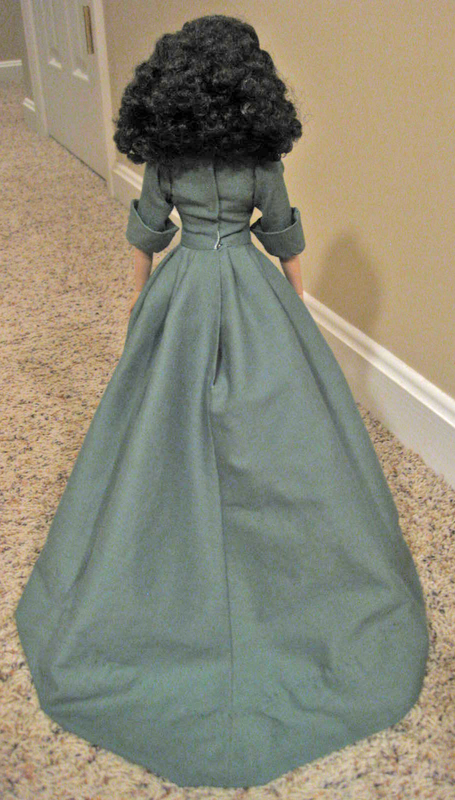 Apparently, she would sew GWTW dresses for her dolls too. She showed me some pictures and the only thing running in my mind was: "why does such great talent hide?". 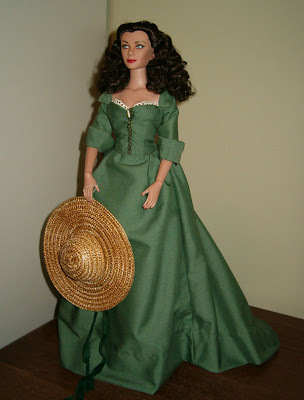 In the short period of our correspondence we were able to feed off each other's love for dolls, dresses and Gone with the Wind. And realizing that I had admired her dress enough for me to find where she was, she offered to do me this dress with an exchange of my repainted Scarlett for it. In the course of the sewing she would send me photos of this dress (which I think is always proper when you are doing commissioned work). 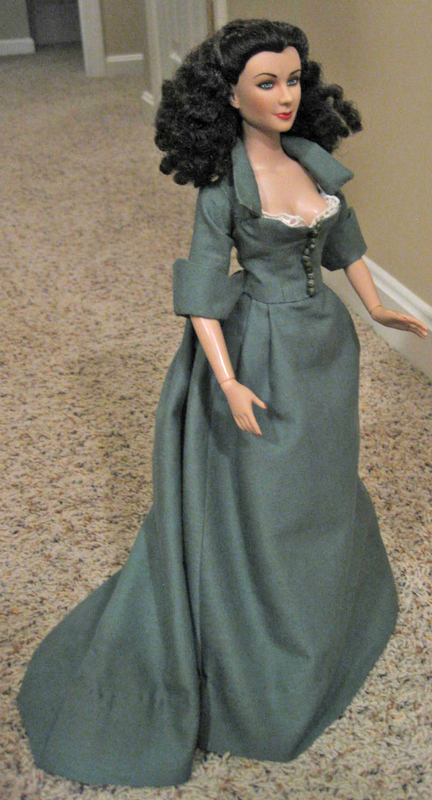 The length of the dress covers whatever shoe you would put on the doll as well as the stand. The train is ample enough and is pleated at the back. The train is pleated in such a way that it can move towards the side to make a beautiful drape. There are reasons why I wanted the dress. 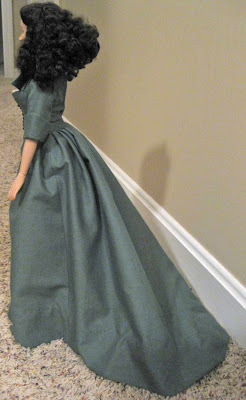 Well for one, it drapes well on the doll -- featuring a more curvaceous Scarlett accentuating length of doll. A respite from the voluminous skirts that she wears for most of the films long sequences. It was actually love at first sight when I saw Beth's photo in the Tonner Newsletter. She actually didn't follow any pattern for this -- for there is none. My friend Another reason is what that sequence stood for. 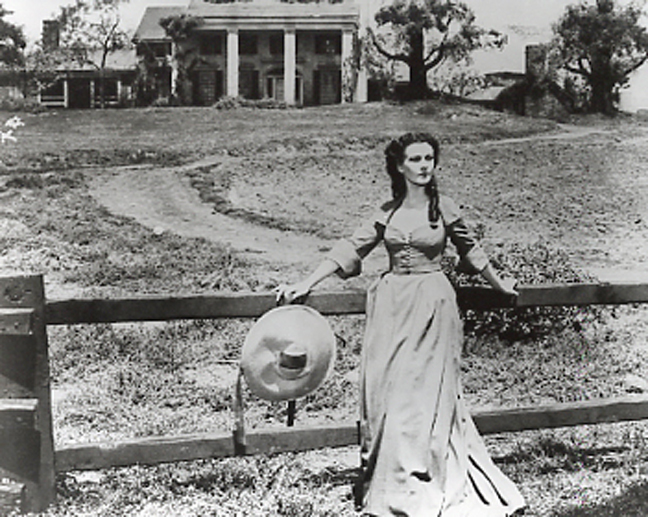 But let me tell you about that when I get to the 3rd part and the final one of The Scarlett O' Hara Dream. Wow! Perfection. Wonderful to have a dream come true. That dress is just to die for! I mean it is just perfectly tailored to the size of the doll. I looks very seductive on her! I want a version just like that for my Scarlett Barbie! Just grand! !